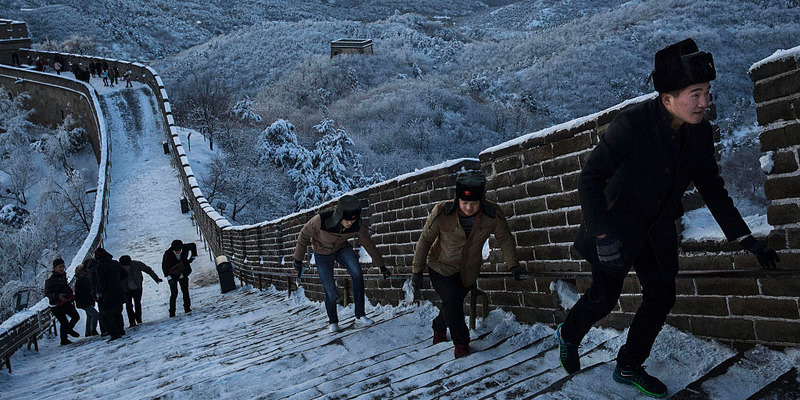 Vincent Isore/IP3/Getty ImagesThe Great Wall of China on February 20, 2018 in Huairou, China. Censorship in China has soared under President Xi Jinping, targeting local and international dissidents. Group chats are a big focus of the Chinese government and group initiators can be held criminally liable for anything members say, indicating Beijing is more concerned with dissent growing than existing. All of China’s online rules are incredibly vague, allowing police broad discretion and encouraging netizens to self-censor before they ever post anything. It was 10.07 p.m. on a cool Vancouver evening when Shawn Zhang’s phone rang. It was his mum. 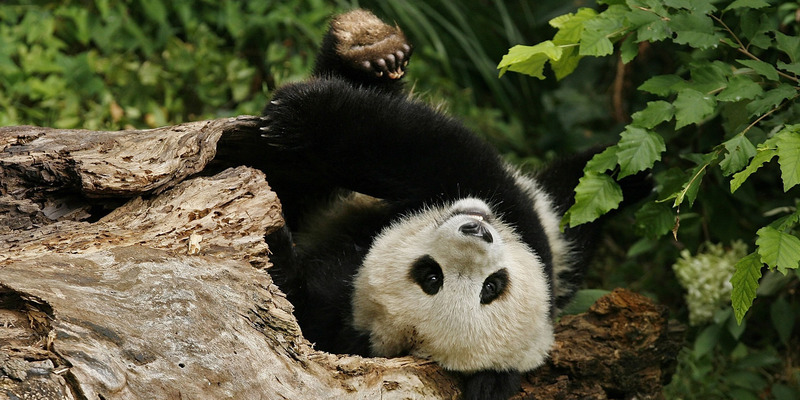 Based in Wuyi, in the eastern Chinese province of Zhejiang just south of Shanghai, she had just received a call from the police. They were asking questions about a post her son, a law student in Canada, had put up on Weibo – they said it wasn’t good and it would be better if Zhang deleted it. 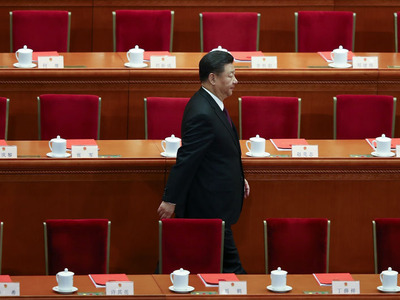 Just a day earlier, China’s legislature had voted – almost unanimously – to scrap presidential term limits, paving the way for President Xi Jinping to rule indefinitely. After weeks of extensive censorship, where everything from Xi’s name to the words “immortality” and “lifelong” were banned, Zhang wanted to see if retweeting a picture would draw the ire of censors. So that afternoon he set up an anonymous account on Weibo, posted a cartoon of Xi encased in glass and draped in a communist flag, and then retweeted it from his own account. But before the post was censored or his account suspended, public-security police called his mum. All told, it took fewer than eight hours and four minutes. “I didn’t expect this picture would trigger the police’s response. It is a parody picture, not a political statement,” Zhang told Business Insider. It is not the first time Zhang’s posts have attracted scrutiny back home. Earlier this year, he tweeted a picture of the Tibetan flag with the words “Free Tibet” after hotel chain Marriott controversially listed Tibet, as well as Hong Kong and Taiwan, as countries despite China’s claims to those territories. And last year he gave an answer on the question-and-answer website, Quora, about the disputed Doklam territory which borders China, India, and Bhutan, which received 38,000 upvotes. 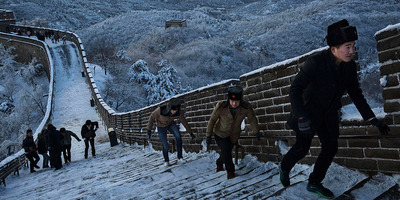 Both times, public-security police contacted his parents to try and convince Zhang to remove the posts. “It’s really disturbing that police called again and again,” Zhang said. Whether he is on a watch-list or not, Zhang is not alone in thinking censorship in China is rapidly changing. In 2018, more than 600 million people will use social media in China – that’s nearly one-quarter of all global users. 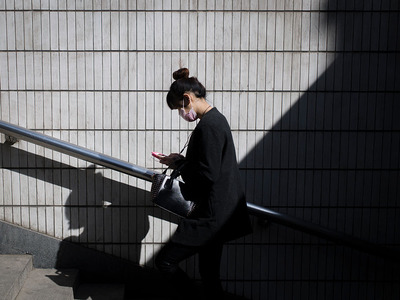 While the term “Great Firewall” used to describe the large number of international websites blocked from China – Google, Facebook, Twitter – PEN says that censorship on local platforms has soared over the past six years. In September 2015, censorship-monitoring site China Digital Times received a rare image of a censorship directive – usually editors receive tips verbally to minimise a paper trail, deputy editor Samuel Wade told PEN. This particular directive was numbered 320 and came from the Central Propaganda Department. Because this department is just one agency within the government and Communist Party that issues censorship orders, its fair to assume thousands of directives are ordered each year. Advanced censorship technology combined with new laws, regulations, and increased enforcement are increasingly being used to “repress dissident voices and shape online conversation,” according to PEN. Just this month, a former prosecutor was arrested for making comments online about the removal of presidential term limits. The Globe and Mail also reported that around the same time a teenager, who posted a tool on Weibo allowing users to connect with people whose accounts were deleted, had his computer seized by the police who also took some of his blood to collect his DNA. And as Zhang’s case shows, China’s attempts at censorship are no longer limited by geography or technology. 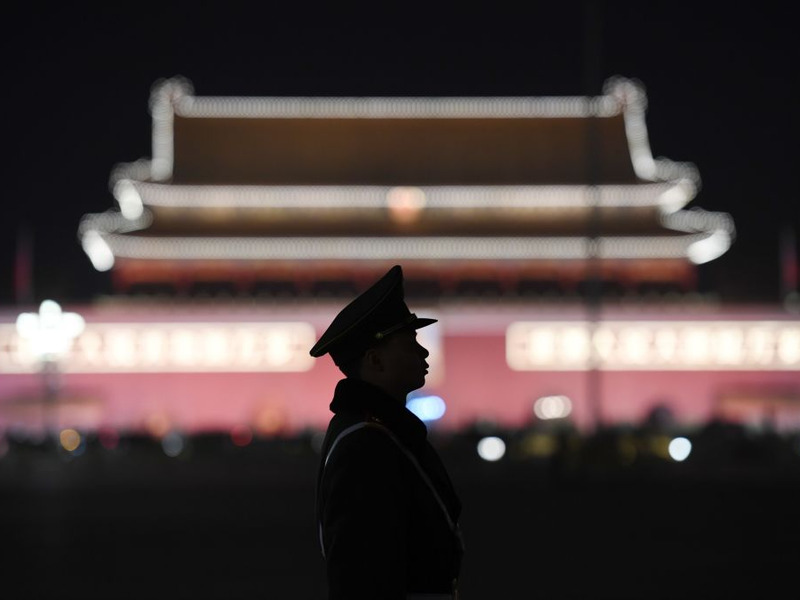 Beijing is also trying to crackdown on overseas dissidents whose families are still in the mainland, despite the fact many posts are on platforms like Twitter that aren’t accessible in China. “Under Xi, the “Great Firewall” is getting taller,” the PEN report said. The law, the courts, and the police have all become stricter in the last six years. In 2013, the Supreme People’s Court increased penalties for posts that are defamatory of contain “false information.” If a post is forwarded more than 500 times or clicked on over 5,000 times, the author can go to jail for up to three years. 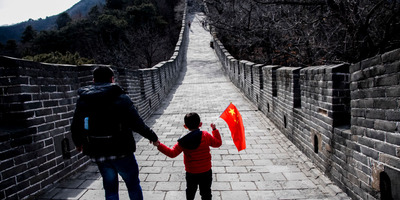 GREG BAKER/AFP/Getty ImagesChina is expected to block VPNs, which can get around the Great Firewall, at the end of March. 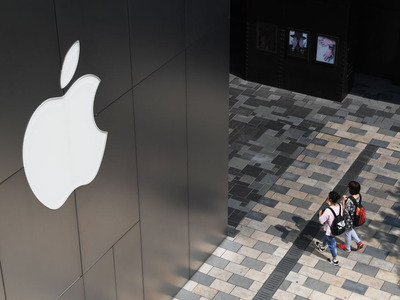 Apple already removed VPNs from its App store in China last year at Beijing’s request. Two years later it became illegal to post fabricated content about natural disasters, emergencies, or any reports of danger – encouraging netizens to closely stick to the government’s narrative on major events. New regulations also urged social-media companies to begin rating users. Companies are encouraged to have a credit system for users, deducting points for disobeying regulations, and to grant the government access to the data. Wei Yongxian/VCG via Getty ImagesGroupthink. In 2016, blogger Liu Yanli was charged with defamation and spent eight months in jail for copying a number of short posts critical of Chinese leaders, including Xi, into a private WeChat group. The following year Wang Jiangfeng was sentenced to two years prison for using the satirical nickname “Steamed Bun Xi,” also in a private WeChat group. 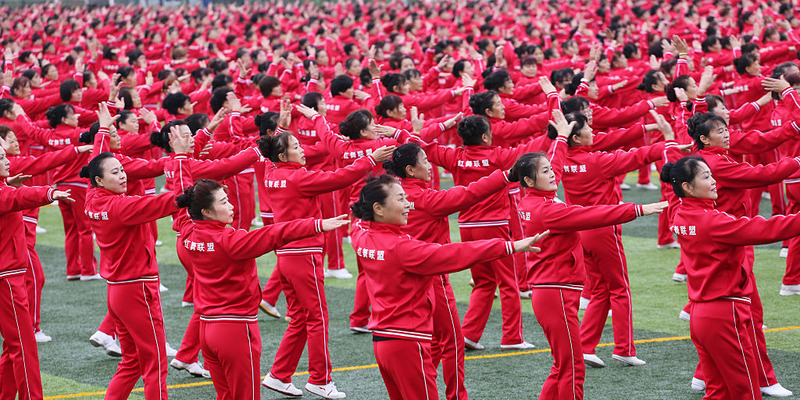 WeChat groups are popular in China, where there can be as many as 500 members in each group. And while there are numerous instances of the government appearing to have read private messages through some sort of back door, such large groups are, as PEN describes, “leaky by design” and can easily be infiltrated. The problem isn’t just limited to Chinese apps though. Despite WhatsApp’s encrypted technology, Zhang Guanghong was charged last year with insulting the government for sharing an article that was critical of Xi in a group chat. According to The New York Times, this will be one of the first times conversation history from a non-Chinese app will be used as evidence. Threats of prosecution pose risks for people who post content but also group creators. New regulations introduced in September last year hold group initiators criminally liable for content posted in any group they start. The regulations also require the tech companies to monitor and keep records of chats for six months, and report any illegal activity to authorities. The companies have essentially been ordered to spy on their users. Interestingly, group chats have more words censored than one-on-one chats, an indicator that China is focused more on dissent growing than it existing. 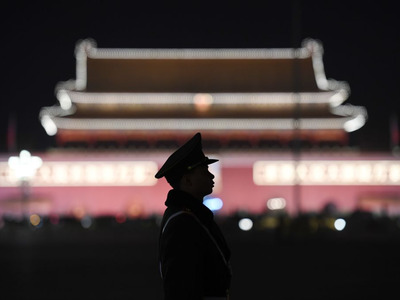 “China is more concerned about monitoring group opinion and preventing political mobilization than with censoring one-on-one discussions,” the PEN report said. 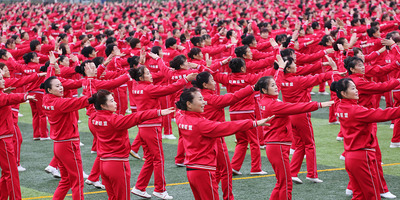 Aside from the new laws and regulations, since 2013 there have been seven “bottom lines” that social-media content shouldn’t contravene: China’s rules and laws, the socialist system, the country’s national interests, the legitimate interests of citizens, public order, morality, and authentic information. Just this week, the values of the socialist system were interpreted to require an immediate crackdown on any and all parodies and spoofs. “To be safe, a person must pull back in every respect, and moreover must become his or her own policeman,” China scholar Perry Link wrote back in 2002. 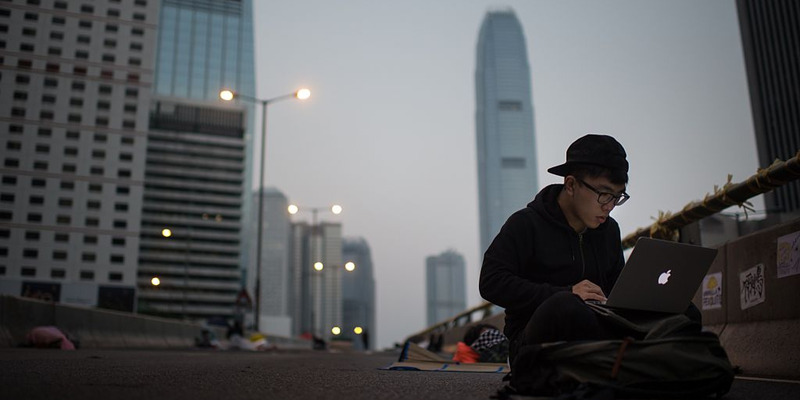 For Zhang, he’s already thinking about what posting online could mean for his family back in China.